After I started cloth diapering my third baby, I wondered why in the heck it took me so long to try this? That is now how I feel about reusable menstrual pads and tampon-type options. I wish I would have started long ago! Being green in this department will save you money and honestly make you feel so much better. Not only are you helping to save our landfill, but it is proven to be healthier. Today I’m going to share with you a variety of options…. 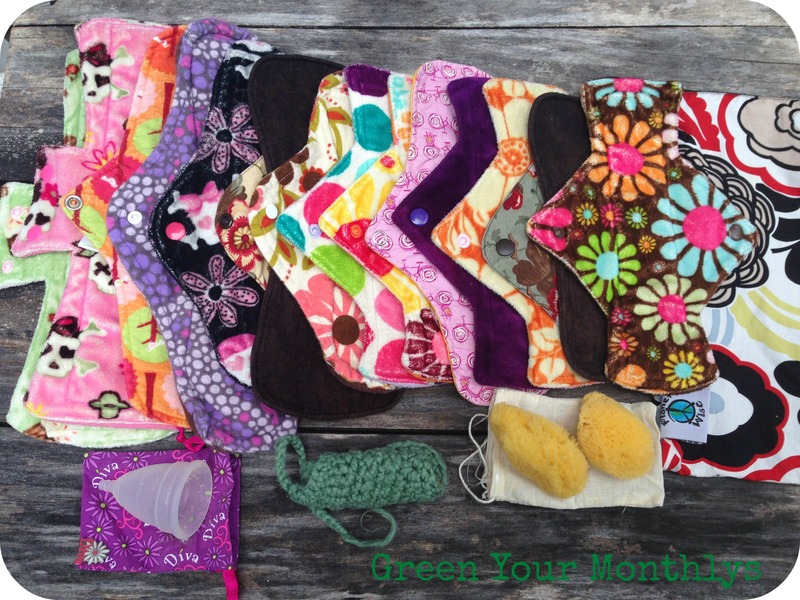 ….I wrote a guest post at Maggie Bags blog to sum up my favorite green options for our monthly periods. Once you try them you will never want to buy at the store again! Lol, I started using cloth diapers with my third baby. He's almost 4 weeks old and I'm wondering why in the world I didn't use cloth with my older two?! Looking back I can honestly say it's because I didn't know that there were so many options. I didn't even know people were still using "old school" flats. Once my body gets back to it's normal self I plan on giving menstrual cups a try. Funny, it's true that cloth diapering helps you see the other wasteful areas in life.